The letters of John Keats are, T. S. Eliot remarked, "what letters ought to be; the fine things come in unexpectedly, neither introduced nor shown out, but between trifle and trifle." This new edition, which features four rediscovered letters, three of which are being published here for the first time, affords readers the pleasure of the poet's "trifles" as well as the surprise of his most famous ideas emerging unpredictably. 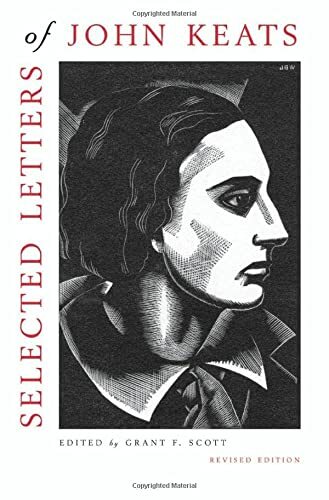 Unlike other editions, this selection includes letters to Keats and among his friends, lending greater perspective to an epistolary portrait of the poet. It also offers a revealing look at his "posthumous existence," the period of Keats's illness in Italy, painstakingly recorded in a series of moving letters by Keats's deathbed companion, Joseph Severn. 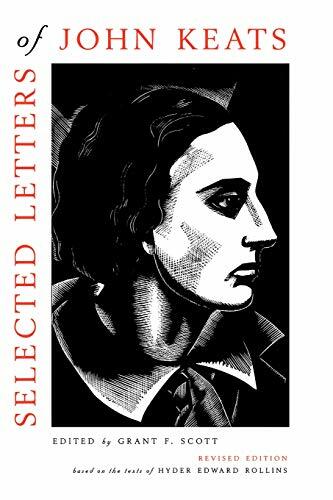 Other letters by Dr. James Clark, Percy Bysshe Shelley, and Richard Woodhouse--omitted from other selections of Keats's letters--offer valuable additional testimony concerning Keats the man. Edited for greater readability, with annotations reduced and punctuation and spelling judiciously modernized, this selection recreates the spontaneity with which these letters were originally written.